ENGINEERING some of the best Dohne genetics available return buyers from Yass to Barcaldine, Queensland, purchased 146 of 153 rams offered which sold to $8000 and averaged $2058 at the Macquarie Dohnes 13th annual on-property sale at Warren last Thursday. This average increased on last year by $351 while the 2014 average was $1808. The sale had been postponed from September 21 due to rain and flooding and although 12 millimetres had fallen the night prior, most buyers were able to attend although six regulars were absent through flooding in their areas. Highlight was the sale of the first 57 sons of new sire, MD 13-7021 Tom, from the Empire family which topped the sale and averaged $2263. This family line started from the purchase of a Mt Alma ram some years ago. Twelve sons of Kintail Park13-2345 (Majestic family) topped at $4250 to average $2979. Looking for wool, Stephen and Di Perry, “Wyndabyne”, Warren, chased a son of “Tom” to sale top money because of his wool characteristics and Dohne breed index. “It’s all about wool for me,” Mr Perry said, whose property runs along the Marthaguy Creek. “I only buy the very best wool rams I can find. The Perrys bought the top-priced Macquarie ram at the Global Dohne Conference dinner sale at Dubbo. 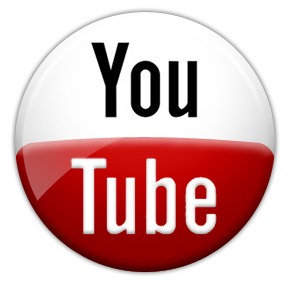 With meat Australian sheep breeding values (ASBV) of 4.1 for post weaning weight (PWT) and eye muscle depth of 1.4, the sale-topper’s wool characteristics ASBVs included 8.2 for yearling clean fleece weight (YCFW) and a Dohne index value (Index) of 151.3. The Perrys join 2000 Dohne ewes growing 19.5 micron average wool and cut 6.5 kilograms and have bought from Macquarie stud since its inception. Their flock won the best commercial Dohne fleece section of the Australian Sheep and Wool National Fleece show this year. 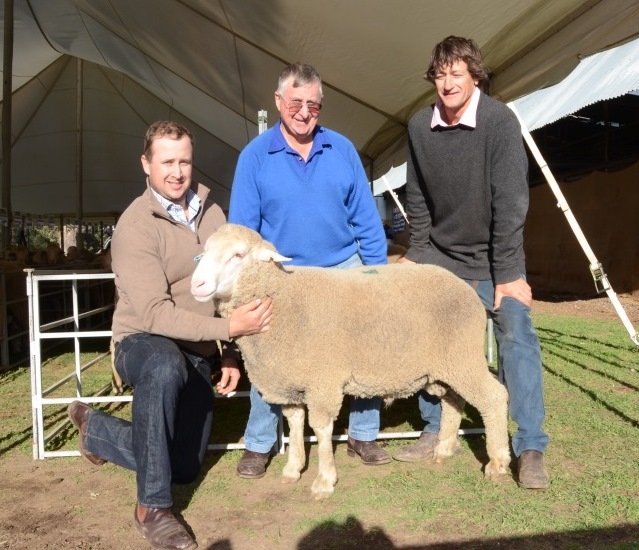 The $8000 top-priced ram a son of new sire MD13-7021 (Tom) with Macquarie stud co-principal, Greg McCann; buyers Di Perry and Stephen Perry, (right) “Wyndabyne”, Warren, while co-principal, John Nadin holds the ram. Peter and Joe Hyland, Hyland Dohnes, Geurie, were looking for an outcross sire and found him in the highest priced son of new Macquarie stud sire KP13-2345 purchased from Kintail Park stud. A twin, the $4250 second top priced ram from the Macquarie Majestic family had meat figures of 5.1 for PWT, 1.3 for EMD and 0.2 for post fat while his wool index showed 5.2 for YCFW and a Dohne index of 145.7. Mr Hyland said they were looking for different genetics and this ram had a very high fat index and post weaning weight and eye muscle. John Witts, “Munargo”, Collarenebri, returned to buy seven rams paying to $3500 twice and a $3179 average. Both top rams and another two were by MD13-7021 Tom. Buying since 2005 Mr Witts joins 2500 ewes of 20 micron cutting 5.5kg average and lambing 105 per cent. Mark Evans, “Netherby”, Walgett, has been buying for 10 years and is joining 3500 ewes of 20 micron wool and cutting five to 5.5kg. He said he was “quite excited about the new sire, Tom, and bought four sons in his draft of five to $3500 and a $2950 average. Multi-lot buyers Denis and Justin O’Brien, Cryon Station, Cryon, near Walgett, began buying in 2005 and now joining 4000 ewes of 19 to 20 micron wool began two shearings this year. Their draft of 20 rams topped at $4000, averaged $2613 and top-lot was by KP13-2345 with an index of 181.1pc. Jim, Sue and Mark Currey, “Aberfoyle”, Walgett, have bought rams for some 10 years and returned to secure 11 rams while paying to $3500 and a $2550 average. They joined 4000 ewes this year growing 20 micron wool and while they focus on wool, Mr Currey said he liked the dual purpose “all-rounder” Macquarie rams. Mark Winning, Mona Station, Bollon, Qld, paid a top of $2500 three times for his draft of seven rams averaging $2107 for his flock of 4500 ewes growing 20 micron wool. Cameron and Elizabeth Crisp, Yass River Station, have been buying for four years and took home three rams to $2500 and a $2083 average. 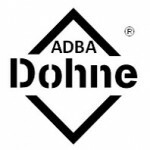 They breed Dohne/Merino cross ewes which are joined to White Suffolk rams for a terminal crossbred lamb. Another buyer since Macquarie’s first sale was Chris Carrigan, Welbon Grazing Company, “Welbon”, Garah, who joins 2000 ewes of 20 micron wool returned to buy six rams to $2500 and average $1875..
Michael and Tom O’Brien, “The Brigalows”, Warren, and “Evandale”, Come By Chance, was also a multi-lot buyer returning to secure 30 rams toping at $3250 for a KP13-2345 son and averaging $1838. Bill and Andrew Yates, “Amondale”, Garah, returned to buy 14 rams toping at $2500 for a son of MD13-7021 and averaging $1500. Joe and Anita Taylor, “Coolgah”, Barcladine, Qld, purchase one ram at auction and 17 top grade rams immediately after the sale. 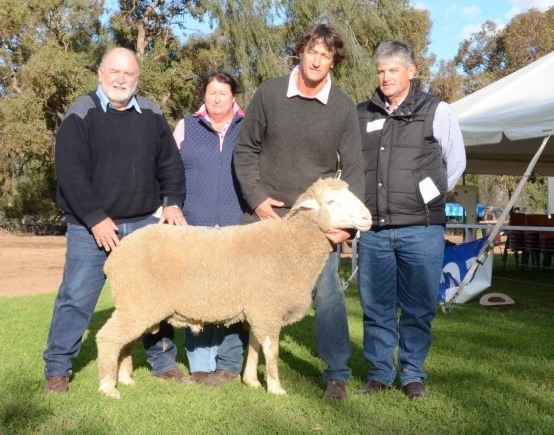 They first purchased Macquarie genetics in 2006 and won the overall champion team of lambs at 2008 Barcoo Pastoral Society Prime Lamb Competition (all breeds), Blackall, Qld. Wild dogs forced the Taylor’s out of sheep but with the erection of a dog proof fence has seen them move back into sheep production. The sale was conducted by Clemson Hiscox, Walgett, with Paul Dooley, Tamworth, guest auctioneer. Joe and Peter Hyland, Hyland Dohne stud, Geurie, with their $4250 second top-priced ram by KP13-2345 and Macquarie stud co-principal, John Nadin, Warren.